You can thank the Glymjacks for the fact that you’re not surrounded by haunted houses and angry, vengeful ghosts. Tonight is the night of Mollie’s final test to enter the ranks of the Glymjacks. If she passes the test, she can say goodbye to everything she’s ever known and loved. If she doesn’t pass, she can only hope for a fast death. 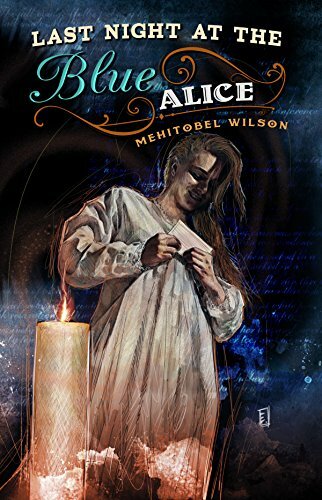 Her test involves clearing the Blue Alice, a famous haunted house, of its resident ghosts. Mollie isn’t interested in why these people died, and she doesn’t care that they died. Her mission to learn what they were going through when they died, and ensure that they die in a more peaceful manner. She’s auditioning to be their psychopomp, someone who will help them to the other side, help them go somewhere away from the Blue Alice. A sprawling manse that became a boarding house in the 1920s and then apartments by the 1960s, the Blue Alice has seen it’s share of happiness and misery. Urban legends tell of a woman dressed in white who haunts the building, music playing where there shouldn’t be any, and judgemental demons. Barely a year has gone by in the history of this famous house where a tenant hasn’t fled in terror of something or someone haunting the rooms and halls. It’s time to clean house.